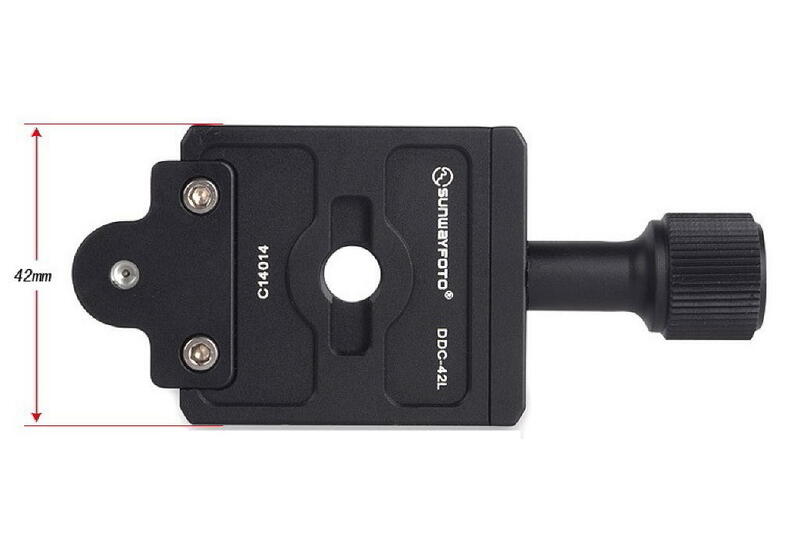 Starting with the Improved Sunwayfoto DDH-02i & DDH-03i Panning Clamps (Preview) almost a year ago, Sunwayfoto® started to elongate their Quick Release clamp's Screw-knob shafts once again. 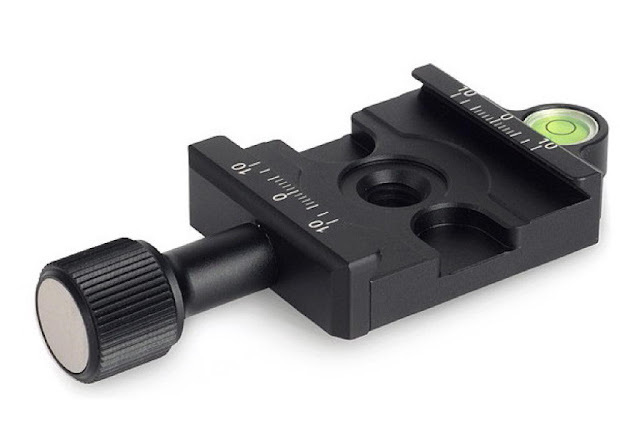 Passing through a phase where all their QR clamps, as we saw in the Improved DDC Series QR Clamps article, featured very short shaft-less knobs; Sunwayfoto's engineers were confronted with issues arising from the very small knobs interfering with some of their large QR plates. 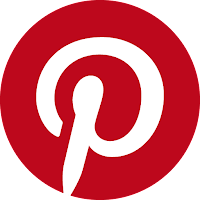 For sure the small and compact knobs were meant to minimize bulk and weight but as it seems an intermediate solution had to be found. 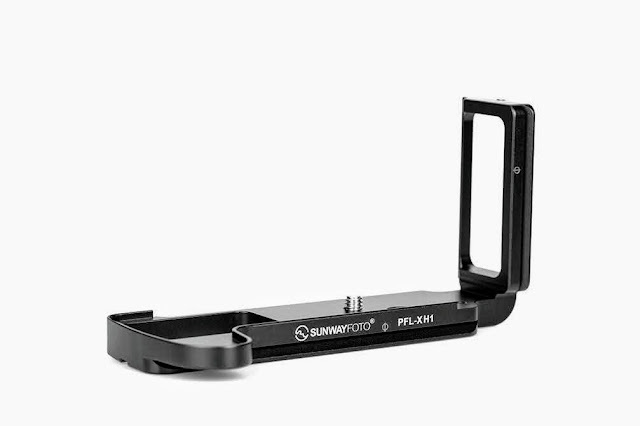 Together with a lot of other products announced during the recent China P&E Show in Beijing (April 25-28, 2014), Sunwayfoto® has introduced and improved version of their FB series of Ball Heads which sport two new Quick Release clamps, which are also sold separately. These are the DDC-42L and DDC-50L where "L" stands for the Long screw-knob shaft. The DDC-50L besides the forementioned longer screw knob shaft, looks almost identical to the previous DDC-50i but there are some subtle refinements. The top surface follows a design pattern similar to the one introduced with the DDH-02i and DDH-03i panning clamps last year. The laser engraved decimal scales and the bubble level feature stand unchanged. However, the bottom surface has changed, missing the deep carvings and alignment groove of the previous model, in order to accommodate a more precise bubble level suspension system. Needless to say that the bubble level is removable at users' will. Much like the DDC-50L the slightly smaller DDC-42L follows the same design pattern. 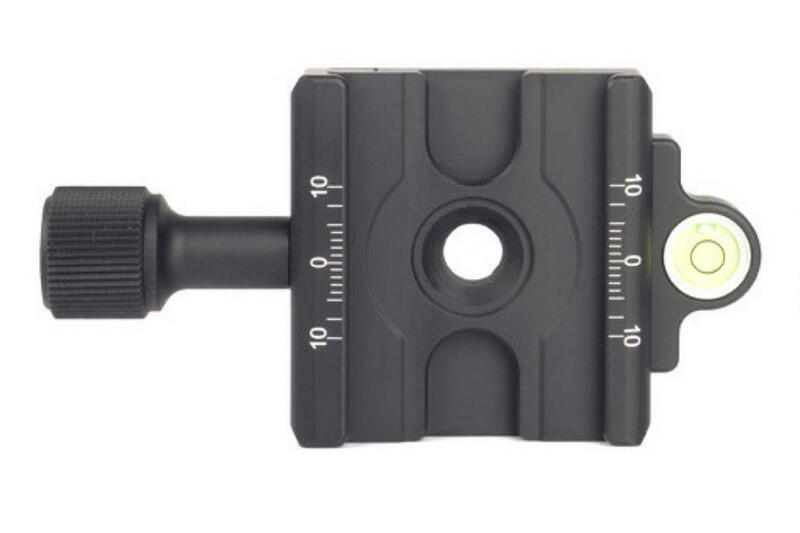 Either as a companion to the new FB-36 Lightweight ball head or as a compact QR clamp stand alone solution may find a lot of applications. The only difference between the DDC-42L and its sibling is the Jaw length, reduced to 42 mm instead of 50 mm which in turn reduces the weight from 76 to 68 gr. Otherwise all functions and features remain the same. Obviously the bottom side follows the same design with the bubble level suspended instead of screwed on the side. 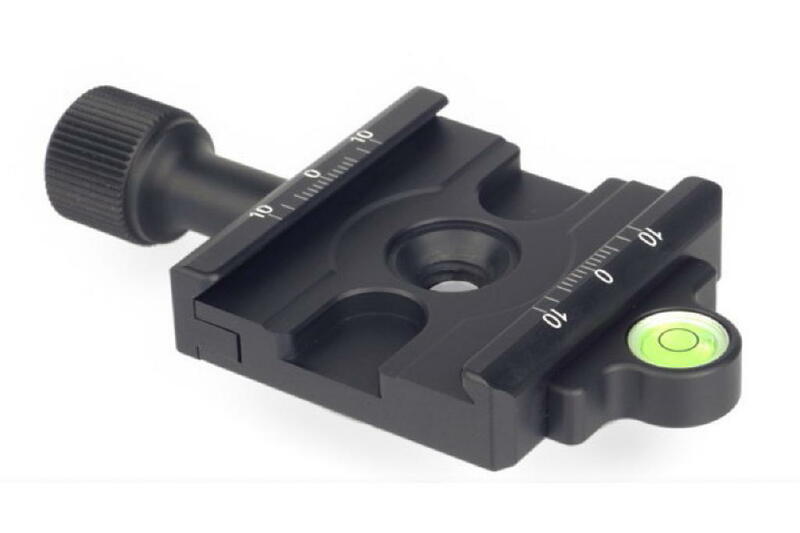 This approach results in better alignment during assembly, therefore more accurate readings. Both QR clamps feature a very versatile Jaw opening from 37.25mm to 41.5mm which will accommodate almost any Arca-Swiss® style plate from various makers including: Really right stuff® (RRS), Wimberley®, Jobu Design®, Arca-Siwss®, Kirk Enterprises®, Markins®, etc. 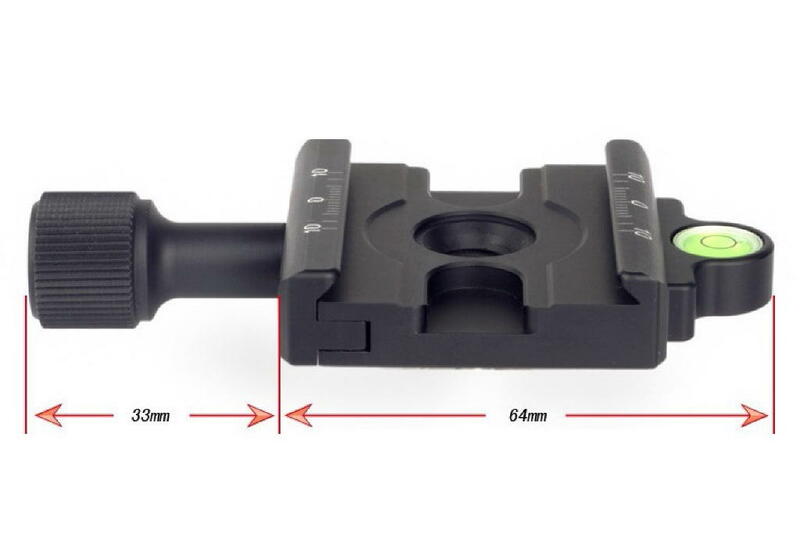 The DDC-42L and DDC-50L QR Clamps are accompanied by a 3/8"-16 to 1/4"-20 reducer adapter, an Allen hex key and a M6 flat-head hex socket screw. 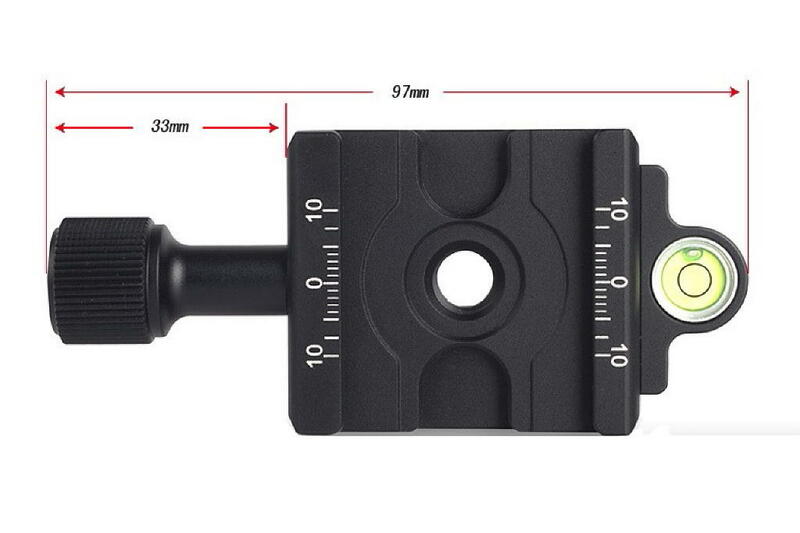 Therefore, they can be mounted on virtually any tripod, monopod or head with a 3/8" or 1/4" stud . 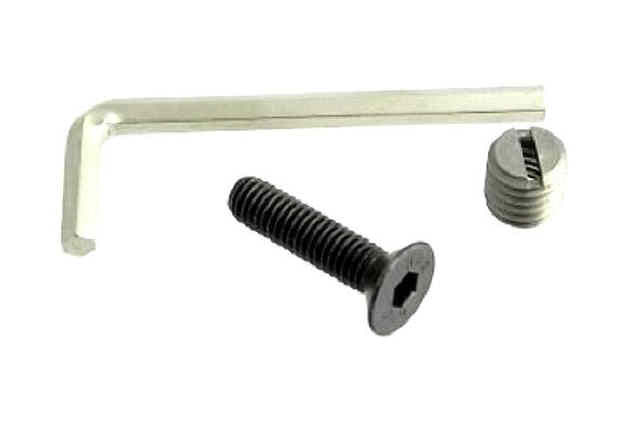 Or replace an existing clamp utilizing the provided M6 mm hex screw. 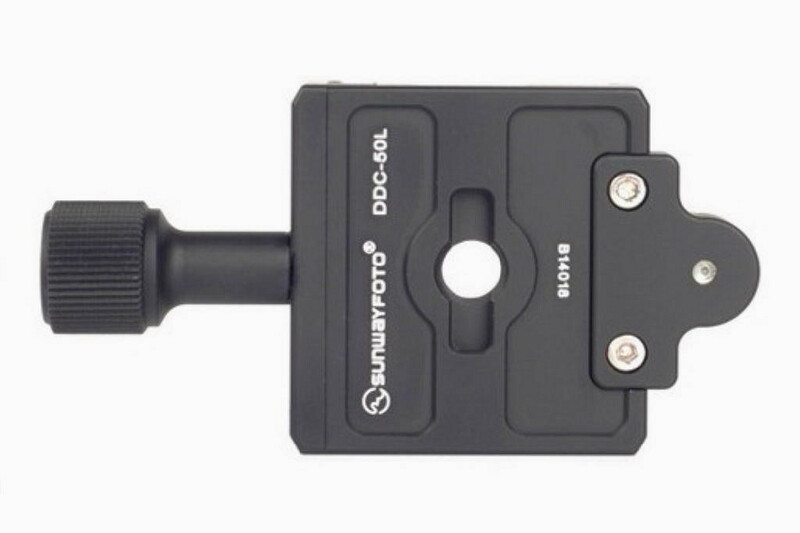 Check the Sunwayfoto DLC-60L Duo Lever / Knob Quick Release Clamp Review which combines both.